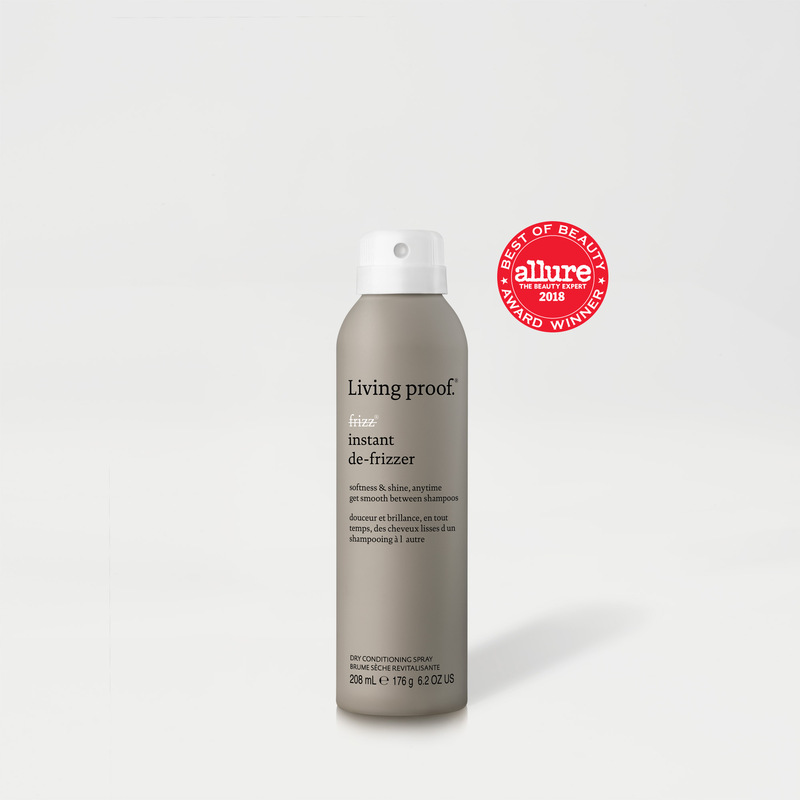 A dry conditioning spray that instantly tames up to 92% of frizz on dry hair by adding softness, smoothness and shine. Hold canister 6-10” away, spray on dry hair in a sweeping motion. Smooth hair with hands or comb through. For added softness and shine, finish with a final spray. For fine hair, focus on applying from mid-lengths to ends. To spot treat, spray in hand and apply to specific sections. It's packed with ingredients that make your hair smooth and frizz-free, like our patented Healthy Hair Molecule (OFPMA) that seals the cuticle and smooths without buildup, a 5-oil blend that mimics the oils naturally found in heathy hair, quick-drying emollients for shine and a cationic conditioning agent for manageability and softness. The result: soft, smooth, frizz-free hair. 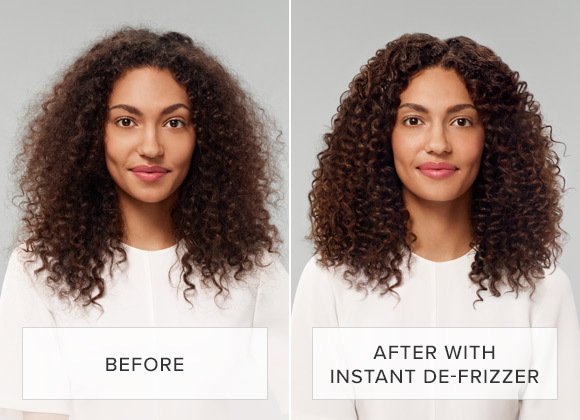 What is No Frizz Instant De-Frizzer? 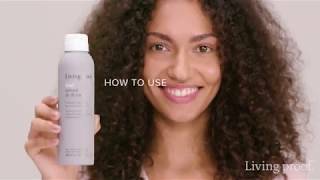 No Frizz Instant De-Frizzer is a dry conditioning spray that instantly tames up to 92% of frizz on dry hair by adding softness, smoothness and shine. How do I use No Frizz Instant De-Frizzer? 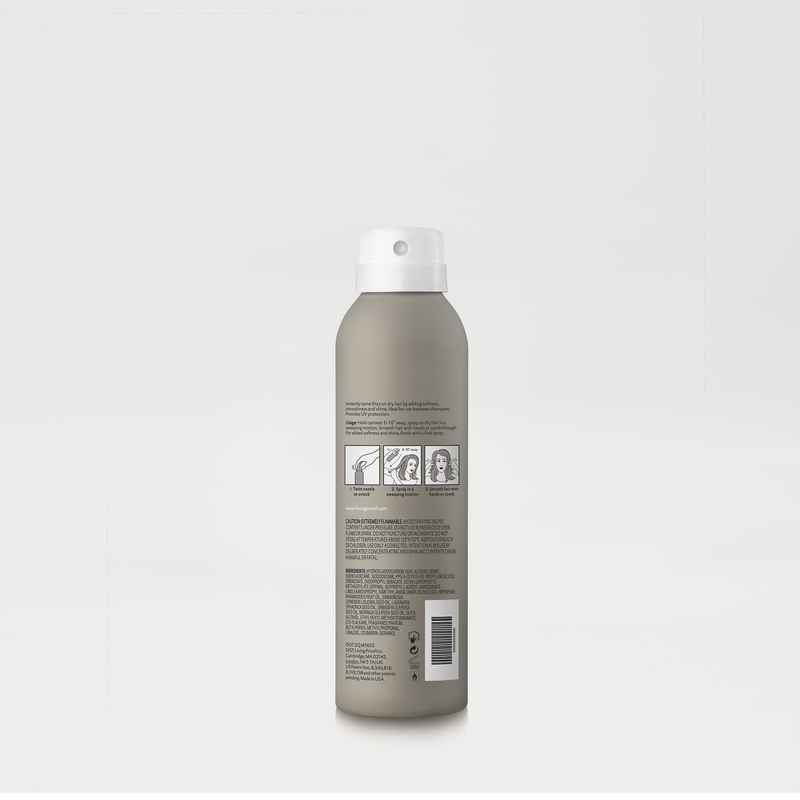 Hold canister 6-10" away and spray on dry hair in a sweeping motion. Smooth hair with hands or comb. 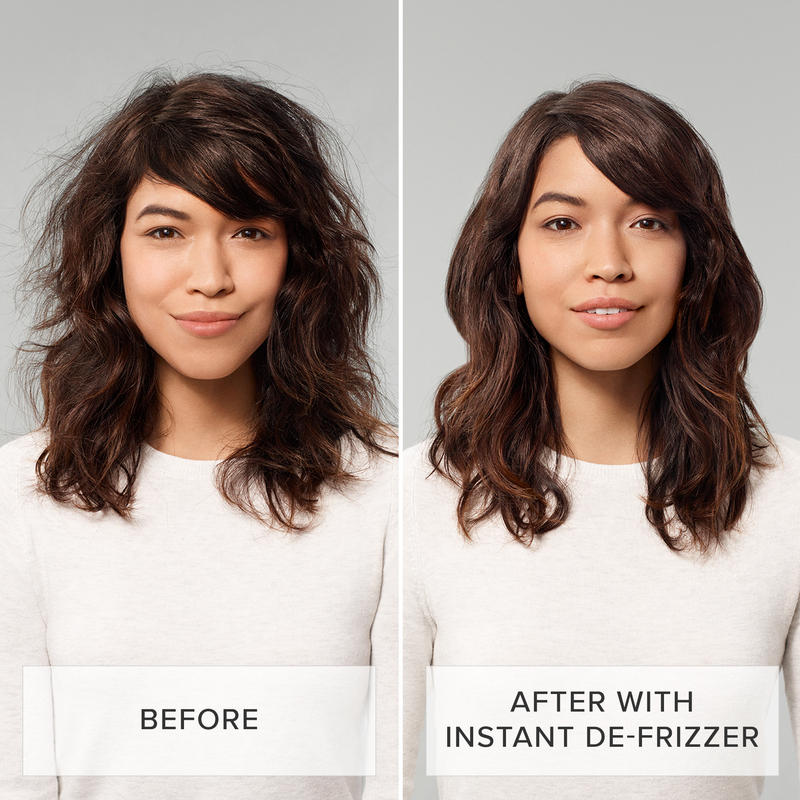 Does No Frizz Instant De-Frizzer work on all hair types? No Frizz Instant De-Frizzer is ideal for medium to thick hair. Its unique 5-oil blend replenishes the oils found in naturally healthy hair. 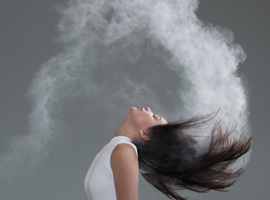 Finer hair types may choose to use this product. If they do so, they should focus on applying mid-lengths to ends and avoid application at roots. 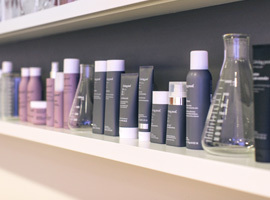 Safe for color and chemically treated hair. 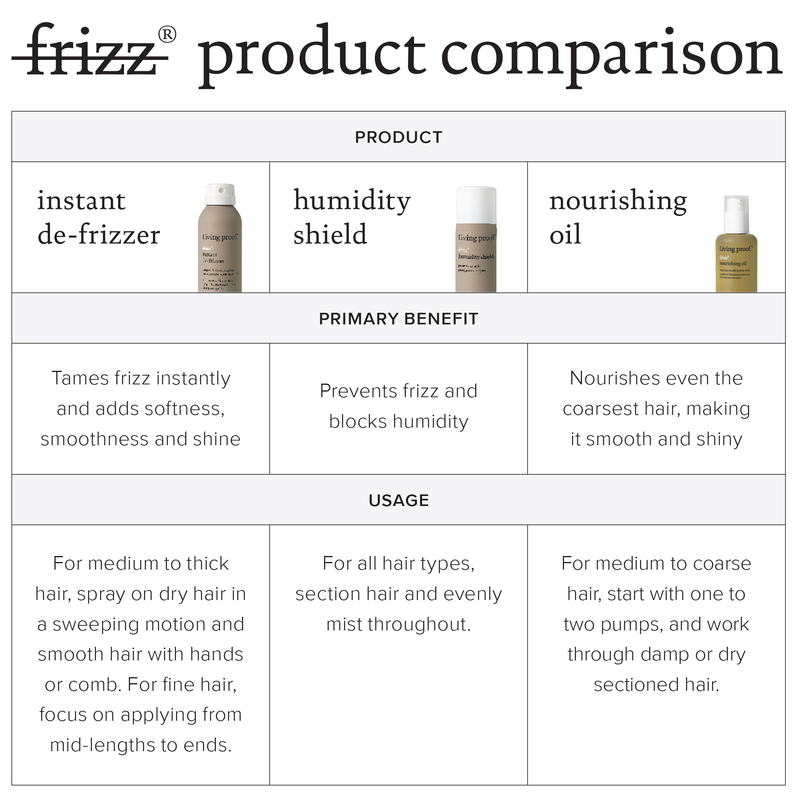 How is No Frizz Instant De-Frizzer different? 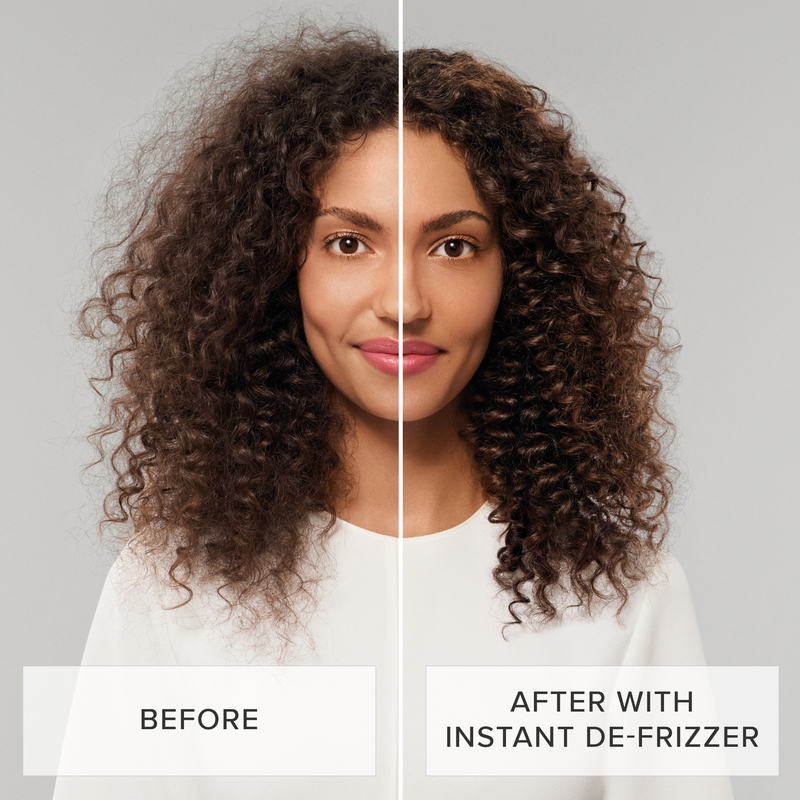 Instant De-Frizzer is formulated to bring your hair back to a smooth, frizz-free state. It contains a unique 5-oil blend mimics the oils naturally found in healthy hair. Our patented Healthy Hair Molecule (OFPMA) helps to seal the cuticle, tames frizz, and smooths hair without any build-up or residue. 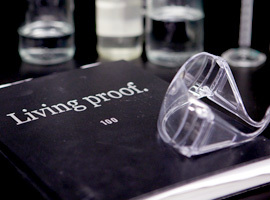 A high refractive emollient creates shine. 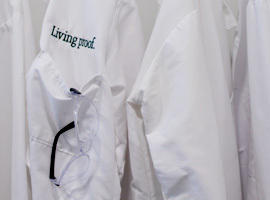 A quick-drying emollient dries instantly without ruining your style. Cationic conditioning agent adds manageability and softness, and helps to seal the cuticle.